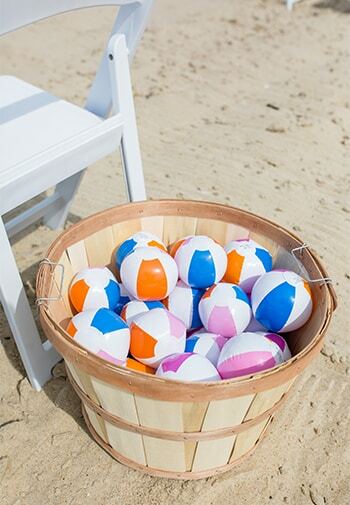 For a beautiful Outer Banks, NC beach wedding, consider White Doe Inn. Celebrate your love and commitment to each other in a truly memorable way. 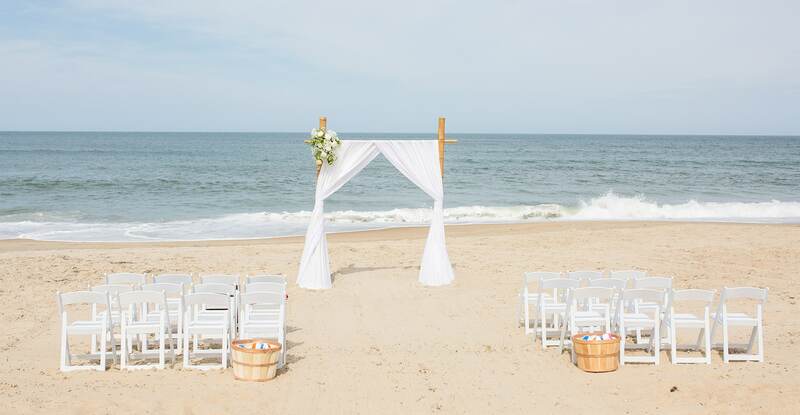 Our Coastal Island weddings offer everything you could ever desire to make your day special. Choose from our magical gardens at White Doe Inn, the Manteo Waterfront or one of the beautiful beaches nearby at Nags Head. Throughout the service and afterwards, our amazing photographer will capture the beauty and joy of the day. Upon returning to the Inn, the celebration continues with an intimate garden reception. Your family and friends will never forget the love and happiness of the day and neither will you. 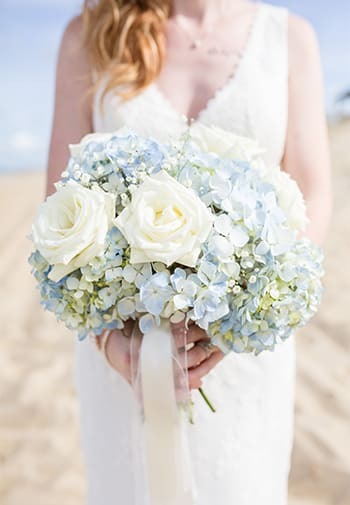 Coastal Island Weddings are intimate in nature and therefore guests are limited to 30 individuals. It is available for a four-hour wedding and reception, between the hours of 1:00-6:00 PM. This package requires that the entire inn (8 rooms) be rented. A private chef and servers from Café Lachine will be preparing and serving your 30- person dinner for your reception at White Doe Inn.